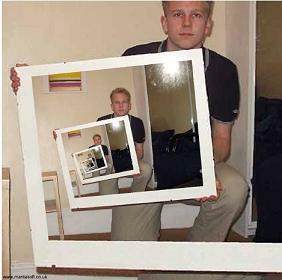 Recursion, in mathematics and computer science, is a method of defining functions in which the function being defined is applied within its own definition. The term is also used more generally to describe a process of repeating objects in a self-similar way. For instance, when the surfaces of two mirrors are almost parallel with each other the nested images that occur are a form of infinite recursion. 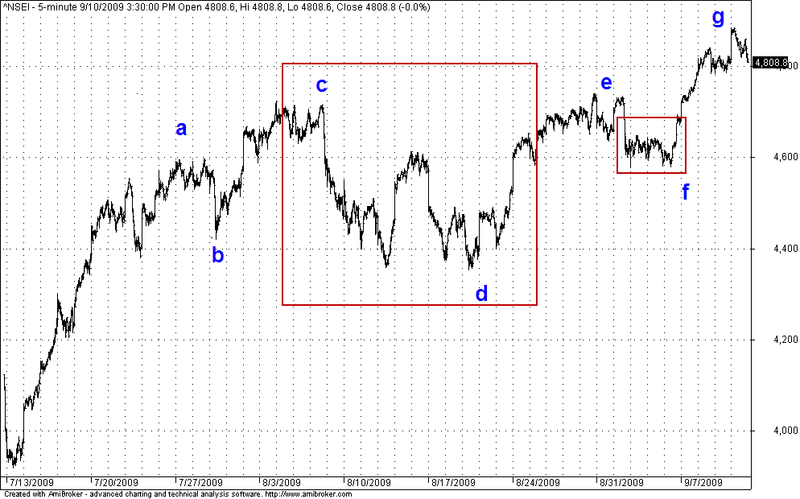 Let look into the recursive structure what nifty is trying to form. 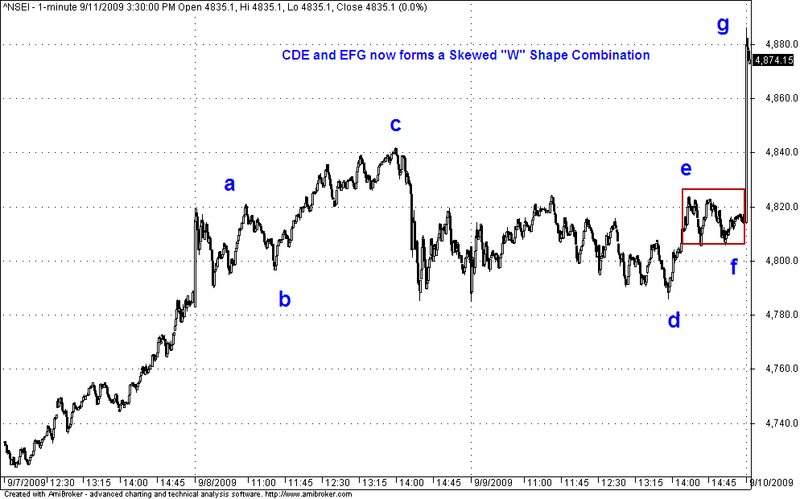 Chart 2 shows the Similar formation of A,B,C,D,E,F,G Pattern as shown in Chart1. But does the things ends here is there anything special more!!! The Answer is simply Yes! Yes and Yes. two parallel mirrors showing nested images. 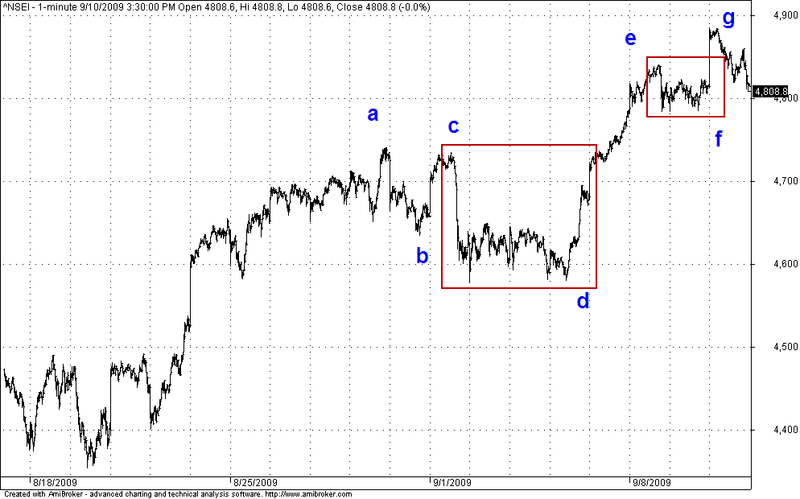 Chart 4 shows the 1 minute chart between 3rd Sep 2009 to 10th Sep 2009. And Following things are observed. 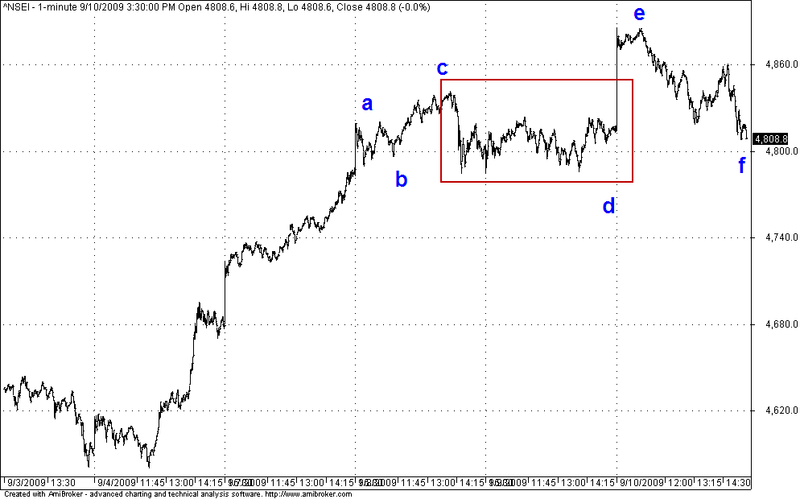 the entire wave in a recursive format with G marking the termination which could take nifty some where around 4920-4950 levels once again which marks the end of the entire wave strucutre in recursive format. Iam once again relooking the recursive wave structure. It seems that i had missed the possible alternative wave count for Chart 4. 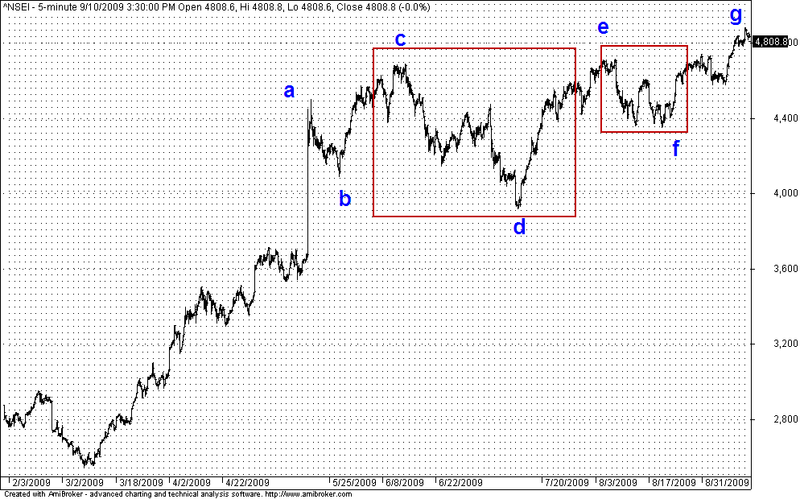 1 minute chart between 3rd Sep 2009 to 10th Sep 2009. And Following things are observed.